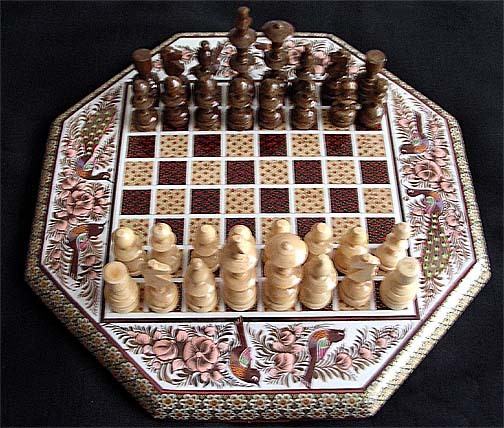 This hand-crafted chessboard is as much a work of art as a playing surface! 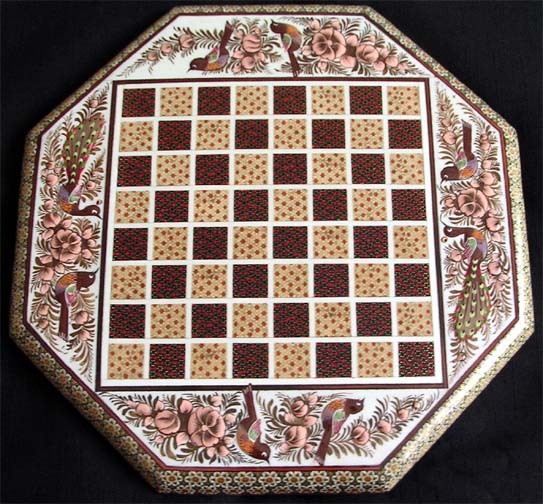 It features four different designs on each corner. 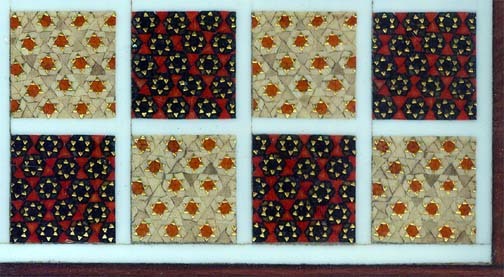 These hand-painted, embossed corners feature birds and peacocks in a floral background.